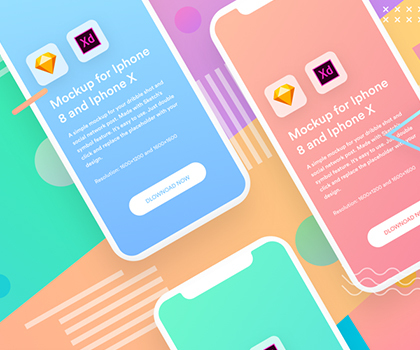 Creative Iphone X Iphone 8 mockup, Free download these creative mockups.6 beautiful mockups for your presentation. Resolution: 1600×1200 for dribbble (.5x export) and 1600×1600 social network posts. You can save your lot of time and money. In this post you can find best iOS app splash screen designs from app store. A few iOS Mobile UI Patterns galleries have popped up over the past couple of years. They do a pretty good job at putting together A set of screenshots per objective, like launch screens, navigation bars, etc. Ramadan is an important holy month for Muslims across the globe. These useful mobile apps are guaranteed to make your Ramadan easier. Best apps for Ramadan. In today’s digital age, mobile devices have become our constant companions, today we’re rounded up 30 best ramadan apps for iOS and Android mobile devices. The iPhone Toolbar icons set includes 150+ hi-qty free icons that are designed to meet the requirements of the iPhone iOS guidelines and perfect for iphone app icons. The Working Group has created a set of pixel-perfect iPhone toolbar icons and released them for free. WinZip app for iOS, WinZip is a desktop utility which is used to compress files, and to manage compress files, and now WinZip for iphone, iPad & iPod touch is released through App Store and available free for download. WinZip the world’s # 1 zip utility for file compression, file sharing, file encryption and data backup. Google has released updated Google+ v1.0.9.4278 for iPhone, iPod touch and iPad with new features instant upload, see who +1d a post, and what’s hot stream. You can download latest Google+ for iPhone, iPod touch and iPad over iOS 4+ through link below. Google+ app for iPhone, iPod touch and iPad with features enhancements like new photos UI, ability to start a video Hangout from messenger and bug fixes. Call Of Duty ELITE app is released for iOS (iPhone, iPod touch and iPad) by Activision through App Store that allows gamers to evaluate multiplayer progress on the go with some other options to formulate new strategies, stat analysis, classes customization, etc. Apple has released iOS 5.1 beta 3 for iDevices running over iOS 5.1 beta to its registered developers. iOS 5.1 beta 3 update is pushed as OTA for iPhone 4S, 4, 3GS. iPod Touch 4G, 3G, iPad 2 and iPad 1 or developer can download it via Dev Center. Google Translate app for iPhone & iOS is updated to version 1.3.0, and especially it integrates support for iPad as well. The latest Google Translate app does not include any major updates of its features except iPad compatibility.